Last night I had the great honor of attending a good friend's birthday party. Normally, this would not be impetus enough for a full blog post, but the important detail here is that this party took place in Tel Aviv. I am wary to even write this post, as I worry that it will be my most controversial posting to date. 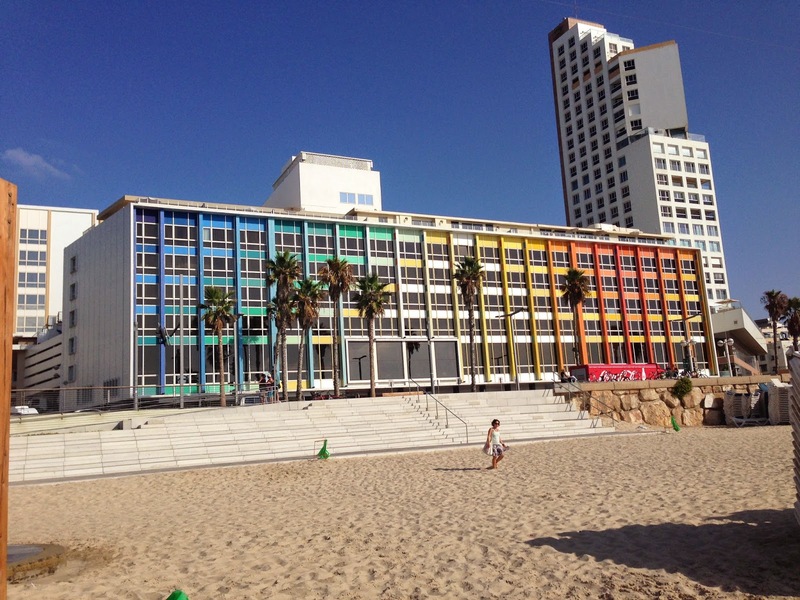 Few things arouse the passions of Tel Avivians and those who love Tel Aviv like someone not loving Tel Aviv. And kids, I do not love Tel Aviv. Allow me to amend that. I love all of Israel. From North to South, East to West, disputed and recognized, I am fully in love with this land of ours. I could wax poetic about Hebron, yammer on about the Golan Heights, even muster some nice sentiments about Haifa. But when it comes to Tel Aviv, I am not sold. Normally I just shrug it off as something I'm just not that into, like brussels sprouts and the New York Mets. But last night, when I mentioned it in conversation (with an entirely Tel Aviv-ian group of people) I was forced to explicate what I did and didn't like about Tel Aviv in bullet-point format. I kid you not. For every point I made, my inquisitors made a counterpoint explaining why I was wrong and how Tel Aviv is actually so awesome. And while I admired their tenacity and obvious pride for their city, you can't force me to like brussels sprouts or the Mets! I don't like them! Don't sell me on their nutritional value or David Wright- I am aware, and I am not impressed! So what exactly are my gripes with this perfect specimen of a modern Israeli city, you ask. Here they are, in no particular order. A lot of who I am, both as a person and now as an Israeli, is national religious. It is difficult (but surely not impossible) to live the life I want to in Tel Aviv. I dress the wrong way ("Sleeves in the summer? Gross! "), I eat the wrong foods ("We sell Bacon! "), I have the wrong political outlook ("You like Naftali Bennett? Are you insane? "), in short, I am the Tel Aviv nightmare. Add to this the swamp-like quality of the weather ("but only March-November!") and the questionable aesthetic/architecture, and it's a tough sell for me. Even the process of getting there from ulpan (bus from ulpan-->Jerusalem central bus station (beautiful and well-kept)--> TLV Central bus station (horrific and terrifying)-->bus or sherut to wherever I'm headed) is a huge undertaking, and therefore only done sparingly. To be fair, it's pretty awesome that the trip from the 2 biggest cities in Israel is under an hour; can you imagine getting from NYC to LA in that length of time? But it is still time, and money, and so going to Tel Aviv is always an experience. (Kosher restaurant that isn't falafel? Had to document it! So let's get to the benefits, shall we? After all, this is Israel, the Jewish Homeland, right? There must be some things I like about Tel Aviv. Well, yes there are! 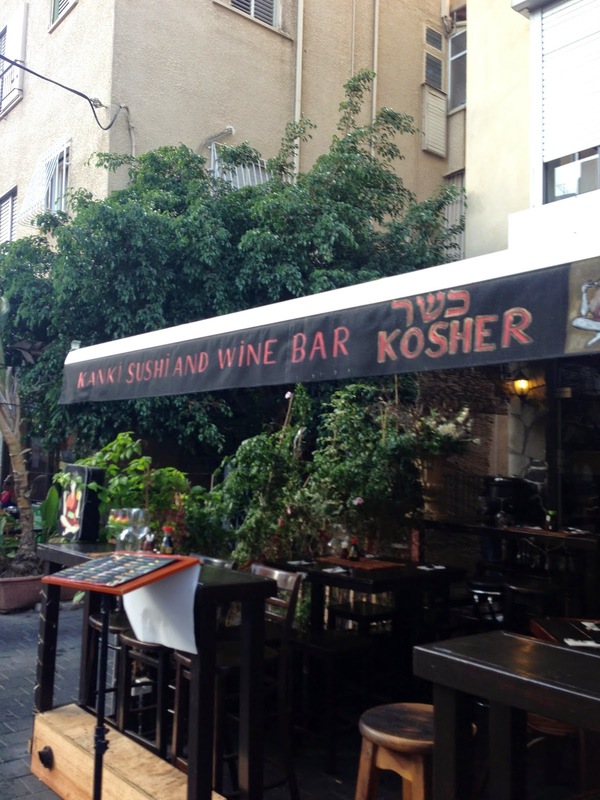 First, I like the place it holds in Israeli history- what only about one hundred years ago began as sand dunes near the ancient Jaffa port has become one of the major cities in the entire Middle East! That's super- duper impressive! I also like the people- some of my favorite people in Israel live in Tel Aviv, (including my soul sister Natalie, who is the mirror Tel Aviv image to my Jerusalem one) and some of the most interesting people-watching you can imagine. And of course, I enjoy the beach. As much as I can sell you Jerusalem, I can not create the Mediterranean Seashore in central Jerusalem. And that, Tel Aviv, is a big ol' point in the plus column. No question. Something I did notice while this ridiculous party conversation was taking place, was that we were a group of young adults who felt passionatley about our cities, cities that we had all chosen to live in, cities to which we moved from various other countries. We had all made aliyah, and while I chose to start my journey in Jerusalem and they in Tel Aviv, we all chose to leave the comfort and ease of America or England and take the road less traveled. To move away from our friends and families and make new friends, start new families, in the Jewish Homeland. In those silly moments of "hometown pride" banter, we were a group of Zionists who love this new home of ours! So be it Tel Aviv or Jerusalem (yay! ), we are so lucky to live here and I hope you all come visit me here in Jerusalem soon. Who knows? Maybe we can even take a day trip over to Tel Aviv!